Eight Mansfield ISD high school students took home hardware after competing with other students across Texas in various academic categories. 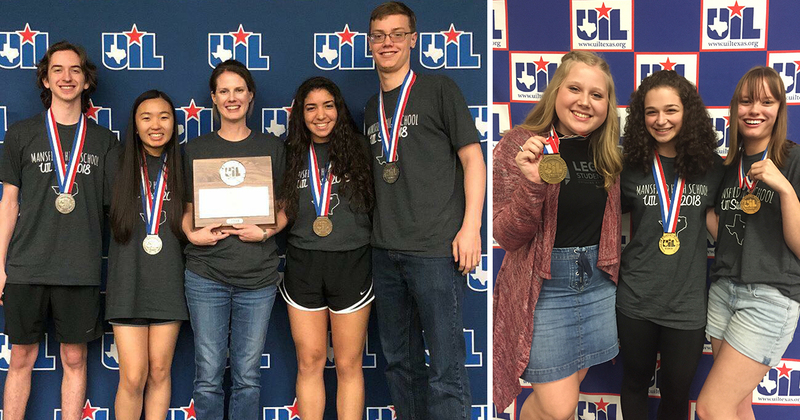 The students qualified for the University Interscholastic League (UIL) State Academic Championships, which occurred May 4-5 at the University of Texas at Austin. UIL offers the most comprehensive program of academic competition in the nation. There are 29 contests at the high school level. UIL academic contests build upon the skills developed in the classroom and offer students an opportunity to stretch their talents above and beyond those requirements. View more about the contests here.